Andrea Tsakanikas has spent many years in consulting for a variety of organizations to assist them in ensuring they were operating at optimum capability. Andrea has been a real estate and lodging management consultant. Her multi-faceted experience has assisted in attaining the skills required to be a successful entrepreneur. With a vision or “get it done” attitude she successfully established a travel management advisory company – CrewFacilities.com with a focus on assisting organizations with crews traveling to control and manage their lodging expenditures. The company offers customized travel solutions to reduce organizations’ administrative time and labor and overall travel costs required to manage their personnel travel. 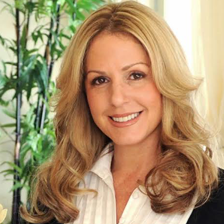 CrewFacilities.com is not the first entity she established; prior to it, she founded Florida Luxury Rentals – a real estate brokerage in 2002. It was sold in 2007. The company is still in operation today and is still one of the top producers in the Fort Lauderdale vacation rental specialty. In addition to these two entities Andrea has consulted for a variety of entities throughout the US to build infrastructure, set up new divisions, build teams, rebrand struggling projects and more. Andrea Tsakanikas has been involved in the property and facility management industry for last three decades. Throughout her career, she has represented hundreds of investors and managed workforce lodging, rental, and resort product projects. Since 2007, she has worked throughout the US as a consultant. Which has played a critical role to develop specializations in optimizing operations and ensuring the highest revenues and profitability for travel and facility management projects. VP of Operations, Corporate Lodging Company – She was responsible for setting up a remote lodging division to manage class-A apartments, suites, lodges and man camps. Founder of CrewFacilities.com – a travel management advisory company focuses on the customer side of the transaction rather than representing the ownership end of lodging. CrewFacilities.com is an entity aimed at enabling large corporations across North America to realize reduced lodging expenditure through effective solutions. The company offers the most competitive lodging rates at top quality facilities within the closet geographic distance to organizations’ job location. It manages, controls and reduces personnel lodging expenditures for companies with mobile work forces throughout North America. For companies with personnel teams traveling that understand the need to reduce their total annual expenditures call CrewFacilities.com for more information.